Unitarian Universalism is the church of the open mind, the loving heart, and the helping hands. Our open-minded, open-hearted spiritual communities help people lead lives of love, learning, and justice. As Unitarian Universalists, we don’t have to check our personal background and beliefs at the door. Instead, we come together on a journey that honors everywhere we’ve been. We try to be brave, curious, and compassionate thinkers and doers. We are diverse in faith, ethnicity, history and spirituality but aligned in our desire to make a difference for the good. We have a track record of being on the side of love, justice, and peace. 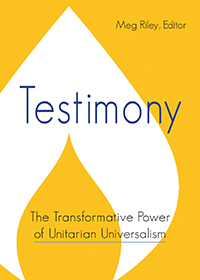 Learn more: our Unitarian Universalist Association (UUA) has great resources! We need not think alike to love alike. We are people of many beliefs and backgrounds. A vibrant, dynamic, and diverse community in which meaningful transformative spiritual practice flourishes. A congregation that assists and celebrates each individual’s search for truth through the unity of fellowship and common worship. A congregation that provides adults and children with a rich array of opportunities for personal and spiritual growth through involvement, leadership, and service to others. A caring congregation that warmly welcomes visitors into our spiritual community and lovingly supports our members through crises and transitions. A congregation that actively addresses social justice issues, making a real difference in people’s lives through education and action, as well as moral, spiritual and material support. A church that actively works to protect the earth and its resources and cultivates a sustainable and aesthetically pleasing environment that enriches our community and spiritual life. A church that operates its business affairs legally, ethically, compassionately, prudently, and transparently, and develops budgets and fundraising initiatives that support the congregation’s needs, goals, and values.